Neşecan Balkan is a Senior Lecturer of economics at Hamilton College. She is the author of Capitalism and the Debt Crisis, published in Turkish in 1994, and co-editor with Sungur Savran of The Ravages of Neo-Liberalism: Economy, Society and Gender in Turkey (2002) and The Politics of Permanent Crisis: Class, Ideology and State in Turkey (2002). Erol Balkan teaches economic development, international finance and political economy of the Middle East at Hamilton College in New York. 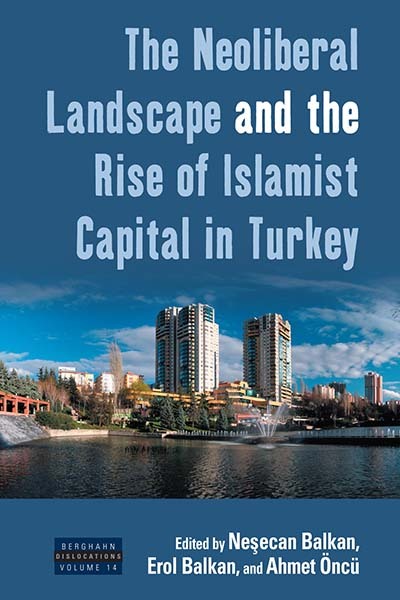 Balkan’s book on the formation of the Turkish middle class and education, Reproducing Class: Education, Neoliberalism, and the Rise of the New Middle Class in Istanbul, was published in 2009 by Berghahn Books. Ahmet Öncü is Professor of sociology at the Sabancı University School of Management. His articles have appeared in journals such as New Perspectives on Turkey, Journal of Historical Sociology, Cultural Logic, Science and Society, Citizenship Studies, International Review of Sociology, and Review of Radical Political Economics.